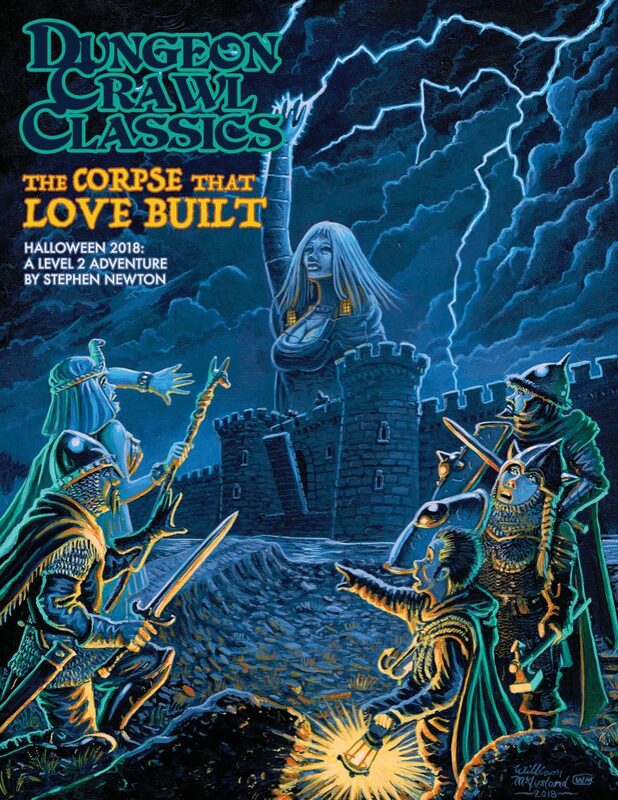 The Haunting of Larvik Island (DCC RPG) is a Dungeon Crawl Classics Role Playing Game adventure written for 6-8 1st-level players and is now available in PDF format and dead tree print format. For centuries the legendary exploits of the mighty warlord Larvik have inspired storytellers and adventurers. Despite his glory, Larvik’s fortunes were lost in the war between his sons following his death. What remains of his legacy is a dangerous island bearing his name and the legend of its treasure accessible only once every 35 years. That time is at hand! Will your party be stout enough to explore the island, defeat both natural beasts and lost souls, and decipher the mysterious markers Larvik left behind? 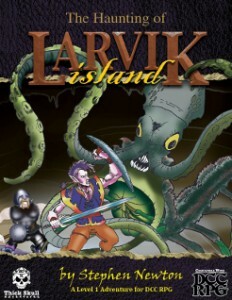 Will you uncover the lost caverns before time runs out and the secret is hidden for another generation, or will you merely become another footnote in the history of the many who have fallen never to return chasing the legend of Larvik Island? The Haunting of Larvik Island includes a rich history of the island, over a dozen new original monsters, and detailed background notes to help judges bring the adventure alive on game night. 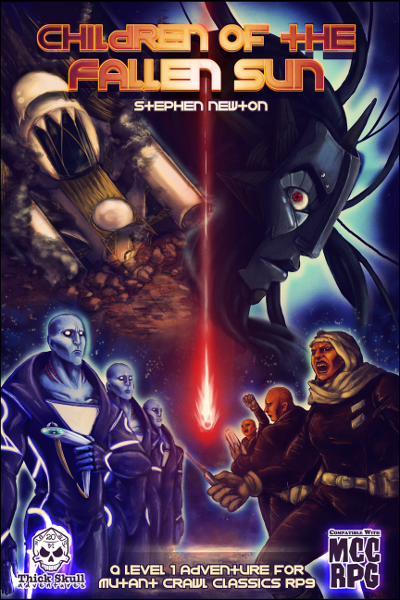 The adventure also contains a summary of important locations, NPCs and myths to allow the judge to easily customize the adventure for their own campaign setting if desired. 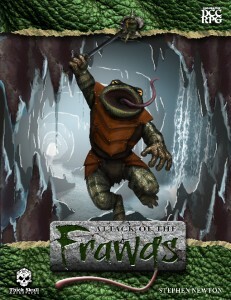 The adventure can be played as a standalone adventure, or as the second in the Princes of Kaimai adventure series along with Attack of the Frawgs. Also available “Encounter Maps: The Haunting of Larvik Island” – 14 encounter battlemaps that can be used with the adventure. Available as a free download at RPGNow.com. Early Praise for The Haunting of Larvik Island DCC RPG! 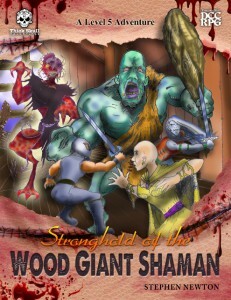 Print Version: Order it online at FRPGames.com or ask for it at your local FLGS. If you’re having problems finding a print copy, drop me an email and I can put you in touch with one of the fine resellers who sell the modules at conventions.